British Airways did it again. They kept with their tradition of occasionally getting a bit less conservative and painted some of their Boeing 747-400s in not one, but 3 different retro liveries or their flagship aircraft! This time around, BA is celebrating the 100th anniversary of its creation. Through the years, the airline has been through quite a few name, fleet, and livery changes. Never before has is made such an effort to represent all of its major landmark liveries… at the same time! Before BA retires their last 747 in November 2022, we get to see, and fly on 4 different, now classic 747-400s. Beware though, one of the newly painted planes will retire by the end of 2019! In this post, we will look at where to see these beautiful liveries in real life, how to track them and what are the best routes to try to fly on them and a brief history of the BOAC, Negus and Landor liveries. 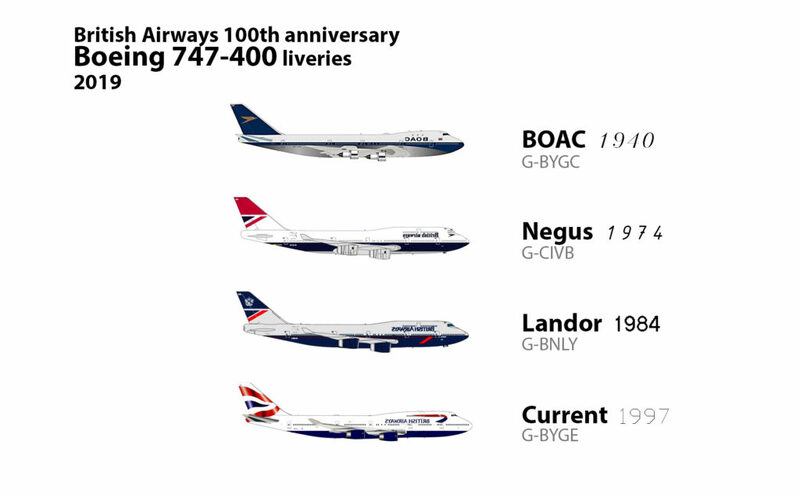 In early 2019, British airways decided to celebrate their century in the business of passenger transport by adapting 3 of their most classic liveries on their 747-400. 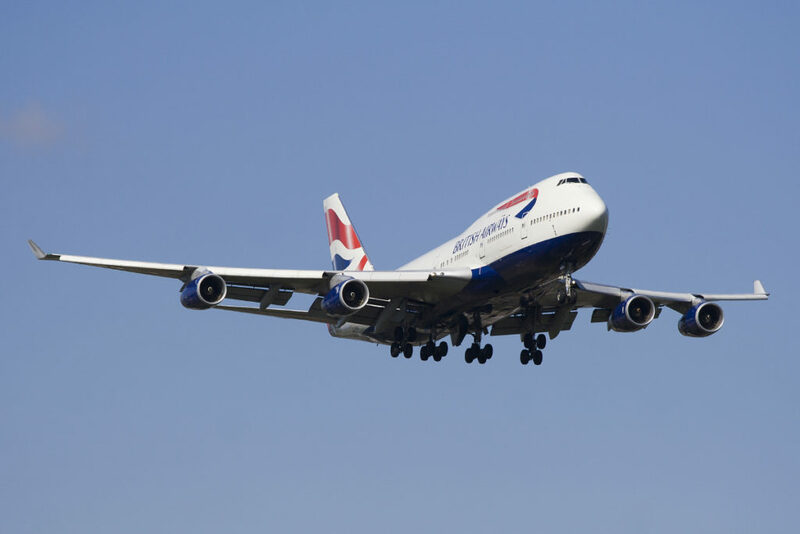 The 747 started flying more than 50 years ago, and has been with British Airways since the beginning. The plane was able to sport all three of these liveries, starting on the -100 version, all the way to the current -400 types, of which there are 13 left in the fleet as of april 2019. There are currently 13 747-400s left in the BA fleet, serving their last few years in service before a scheduled retirement of the type in winter 2022, if they stick to the plan. Note that the jumbo in Negus livery is scheduled to retire in November 2019. The 747 era is slowly coming to an end, and now is the time to enjoy them. To find the planes schedule and position, simply type for example “flightradar g-gybc” in google, and use the flightradar24 result. You will then see the current position of the plane on the map, which you can later track in more detail by going to the flight radar main map screen and filtering by registration. Below are the last and few next scheduled flights, which can give you an idea of when to head to airport to get a good chance of seeing the planes. If you want to see or photograph the retro 747s, the best bet by far is to head to London Heathrow airport, BA’s main hub in the UK. 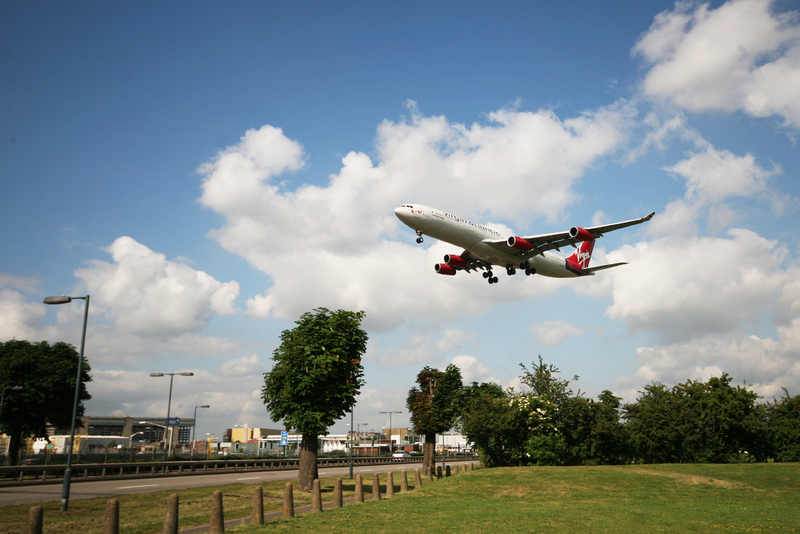 Heathrow offers many exceptionally good areas for viewing planes, namely the famous Myrtle Avenue spot (landings from the East on runway 27L), a few hundred metres from Hatton Cross underground station on the Picadilly line. There are also nice viewing locations for landings on runway 27R, not far from BA hangars, which can be easily accesses by taking the 285 bus from Hatton Cross and getting off at Northrop road, 2 stops away. 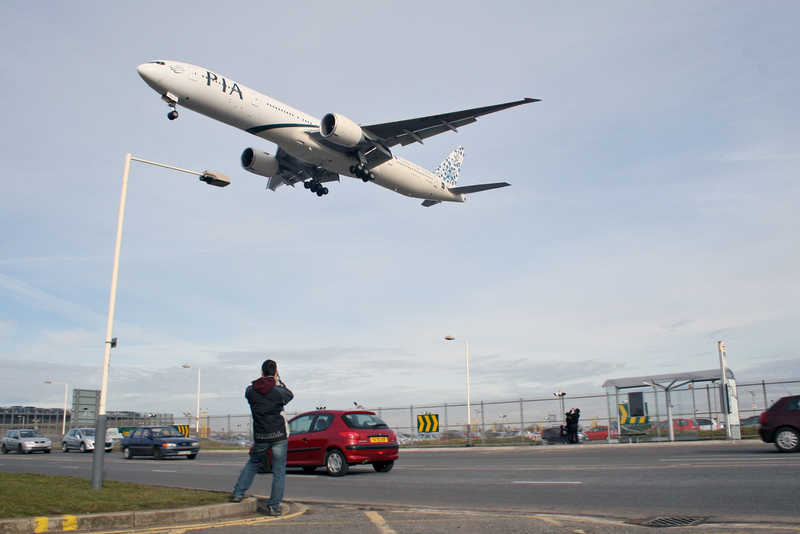 For landings from the West, a good place to watch landing planes is a few minutes walk from the north side of Terminal 5, in a small patch of grass with trees, which offers a great, slightly elevated view on the short final to runway 06L. Heathrow switches runways for arrivals and departure between North and South every day at 3pm, and then every week. Morning arrivals and departures before 6 am can go to both runways. One other way to get up to date information of the whereabouts of the retro painted BA 747s is to follow the BA Retro Jets account on twitter. Along with recent pictures of the airplanes taken at various airports, it shows the scheduled destinations of BOAC, Negus and Landor liveries for a few days in advance. BA’s 747 are on their last few years of service. If you’ve never flown on a classic 747, it is time to enjoy this incredible aircraft before they are very rare, and finally gone in about 5 years time . Hopefully this year I will manage to squeeze in a quick weekend at Heathrow to catch all 3 liveries, plus the BEA A320! I hope you found this quick post useful. Which one is your favourite of the 3 liveries?